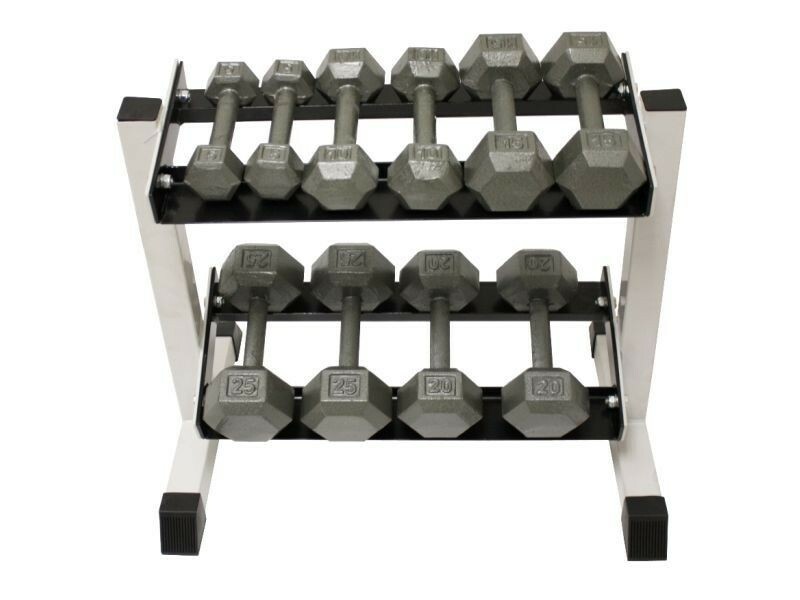 This small dumbbell stand is made to hold 5-25lb pairs of hex dumbbells. 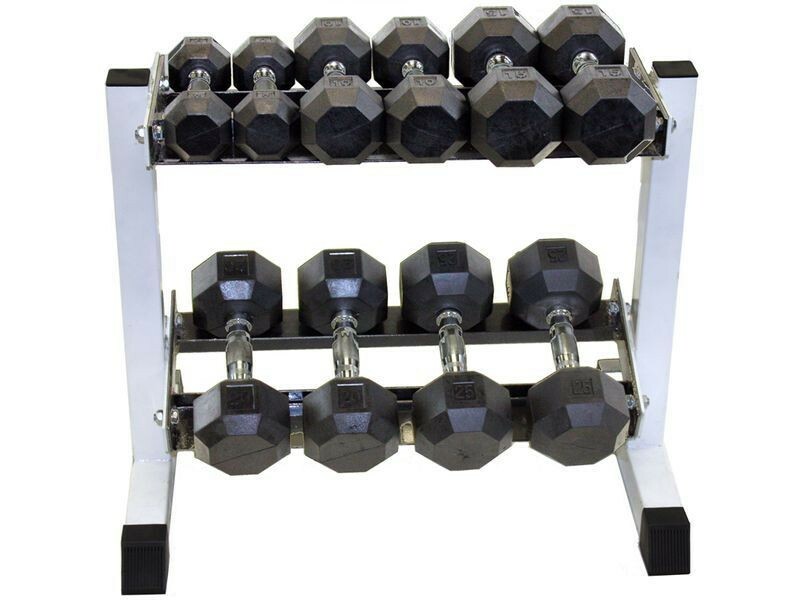 You can put heavier dumbbells on it too. 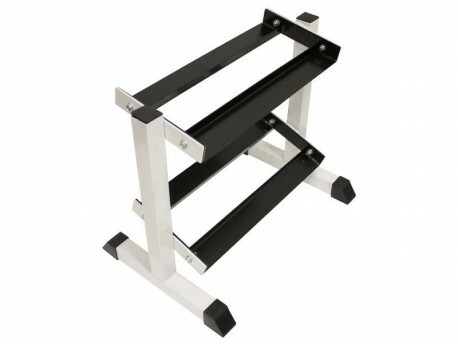 It has a 300lb capacity, so with such a small rack the weight capacity is not really the issue; it's a matter of how many you can fit on the rack.